HumpDayHighlight: This featured blog post is intended to explore classroom practices and possibilities, including books and units of study. 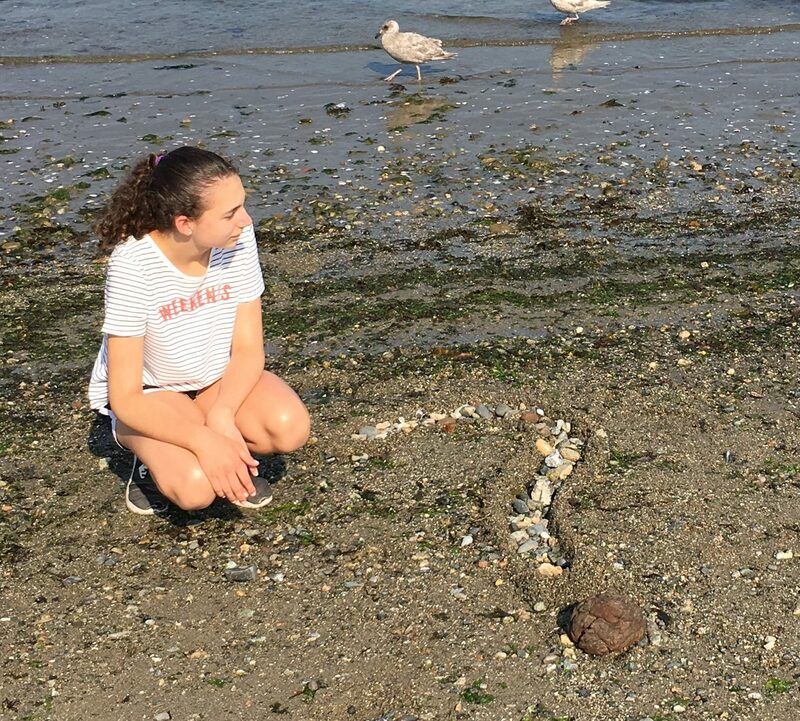 As I reported in an earlier blog post on Outdoor Learning (Dec. 2015), Dr. Hart Banack, Department of Curriculum and Pedagogy at UBC, has been heading up Wild About Vancouver in an effort to encourage teachers and students to take advantage of the opportunities to participate in the outdoor classroom. UBC students prepared a document for our school detailing green spaces in the community and several possible outdoor learning activities and connections with the redesigned curriculum. Our Tecumseh team is growing in numbers and enthusiasm. To date it includes John Mullan, David Thompson- Community (CST) team coordinator, Tara Perkins -CST Programmer, Aman Akilari – UBC volunteer, CST volunteers from David Thompson, Division 11 students, Division 1 students, Mrs. Jang- Grade 3 teacher, Ms. Pearce – Grade 7 teacher and myself. Wild About Vancouver is scheduled for April 16-22, 2016 and will provide dozens of free, outdoor-focused activities around Earth Day 2016. Our team is working together to provide two, or possibly three events during Earth Week. The idea is to share our learning with others. Hopefully this will result in the recipients creating their own idea to share with others within their school community and perhaps even during Wild About Vancouver 2017. The diffusion model works best when learners are engaged in their learning so we are working hard to create learning activities that will be fun as well as educational. John Mullan has a well developed collection of outdoor learning books. 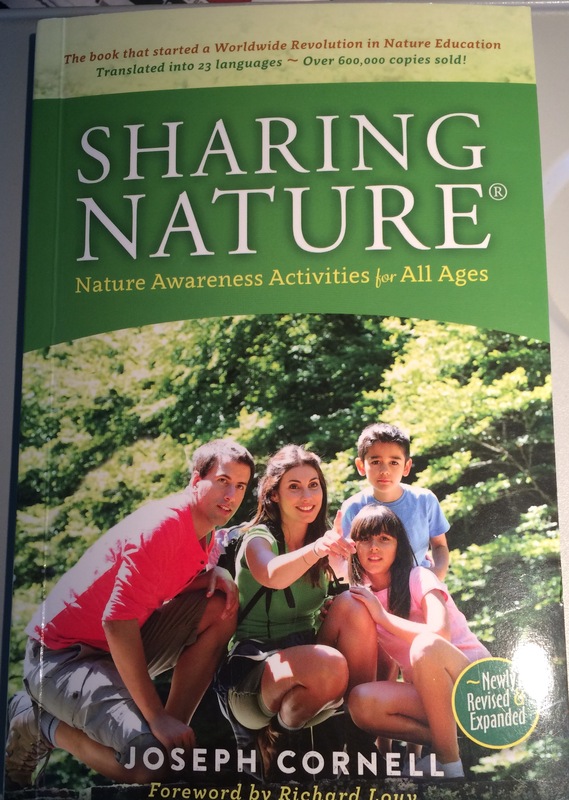 Sharing Nature: Nature Awareness Activities for All Ages by Joseph Cornell has been particularly helpful in designing activities using the flow learning sequence: Stage 1 – Awaken enthusiasm; Stage 2 – Focus Attention; Offer Direct Experience; Stage 4 – Share inspiration. The Vancouver Kidsbooks team also have a plethora of good books that can be purchased. International Literacy Association Members on staff also secured a grant to integrate literacy activities in the outdoor classroom through ReadingBC (BC chapter of the International Literacy Association). This money allowed us to purchase some resources, compasses, tarps, buggy cords, rope and waterproof notebooks from Mountain Equipment Coop. 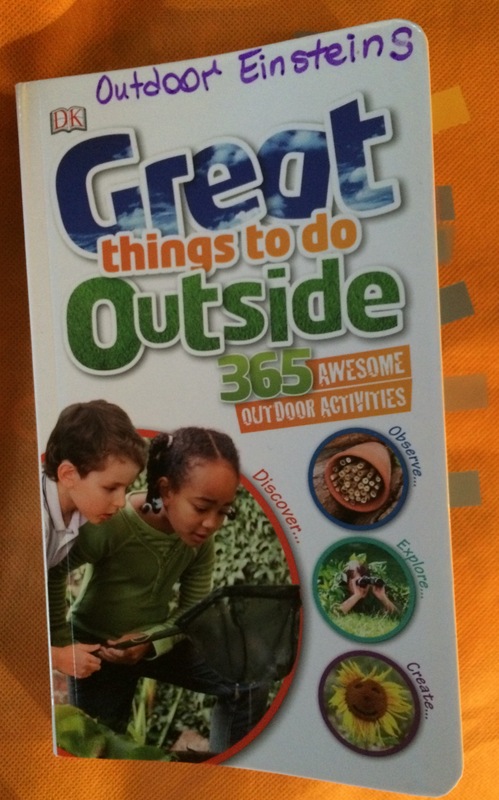 Great things to do Outside 365 Awesome Outdoor Activities has lots of ideas to pursue in the classroom, during after school programs and during home time. Ideas are percolating and we are excited about the possibilities for our Wild About Vancouver sessions. Students and adults are busy brainstorming. 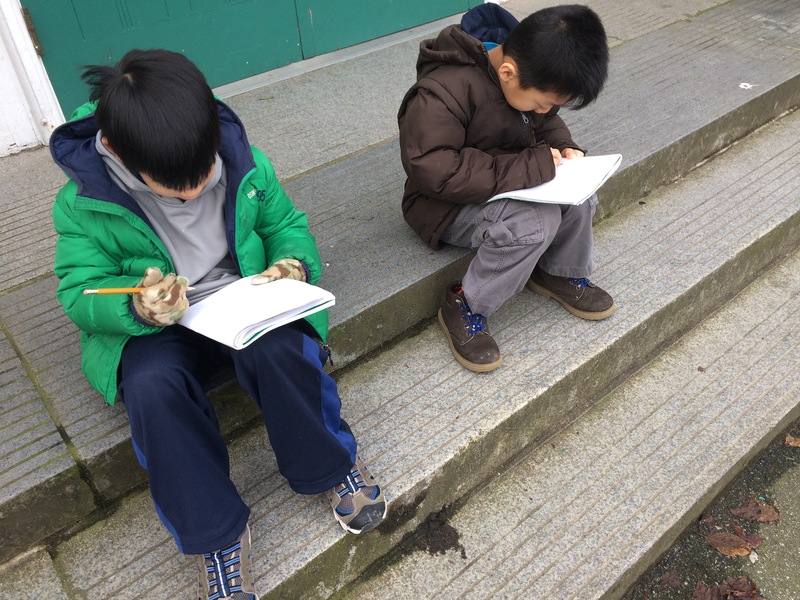 If you are interested in the outdoor classroom, check out the link to Wild About Vancouver and design your own activity to share or attend. We live in Vancouver – filled with sand, sea, mountains, lakes and plenty of liquid sunshine to guarantee green spaces! It’s guaranteed to be wild! 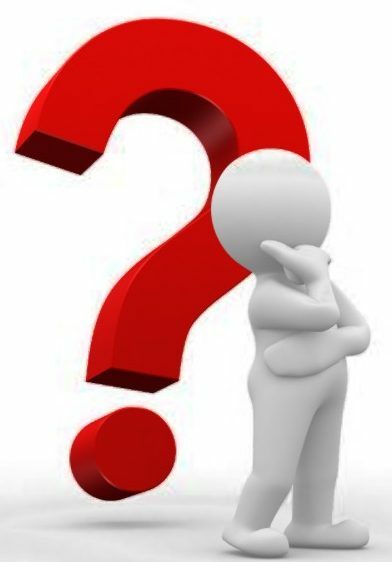 Next postWhat Are You Curious About?